Our Alaska fishing lodge is located on Iliamna lake only feet from the headwaters of the world famous Kvichak River. 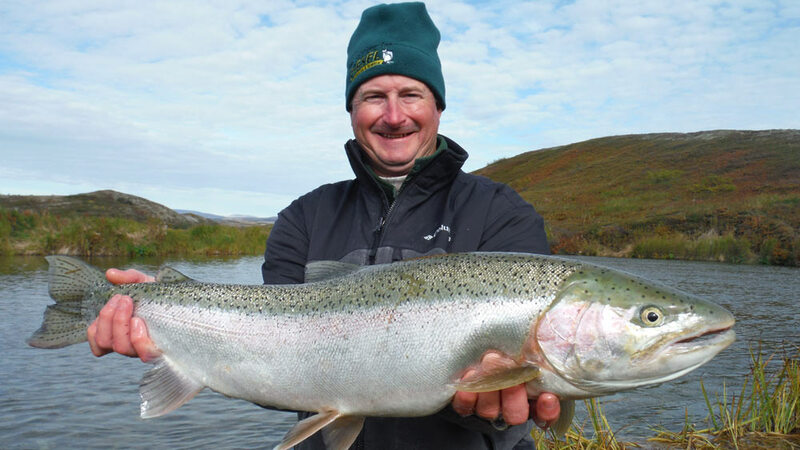 Experience Alaska fly fishing for trophy rainbow trout and salmon fishing at it’s best at our Igiugig Lodge. We offer affordable, all inclusive, 7 day fishing and lodging packages to fish the world famous Kvichak River and various Bristol Bay Streams. BRISTOL BAY SALMON AND TROUT FISHING AT IT’S BEST! 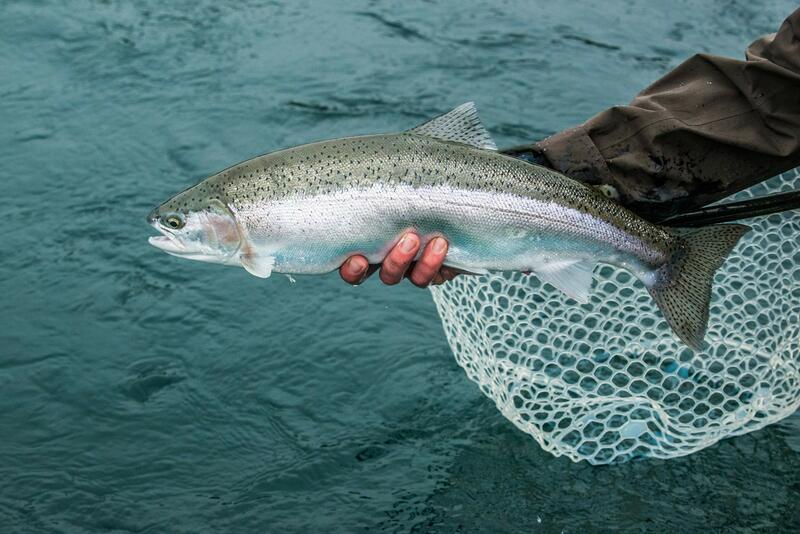 Alaska’s Kvichak River is world famous for plentiful trophy size native rainbow trout. Anyone who has fished these bows will vouch for the fact they are unlike any other rainbow trout found anywhere in the world. These fish are aggressive, powerful, and aerobatic. Catching one of these on a fly is an unforgettable experience. 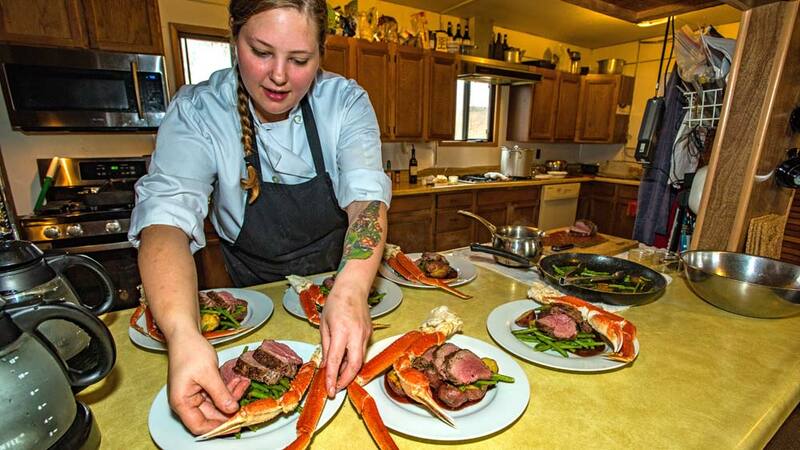 Meal times are special at our lodge and all food is prepared by an on site chef. We cater to small groups of 6-8 people per week which makes for a friendly, intimate setting where you will build friendships to last a lifetime. All food is included in our package price making this an exceptional value for our guests. The streams of Bristol Bay boast plentiful populations of all 5 species of North Pacific salmon. 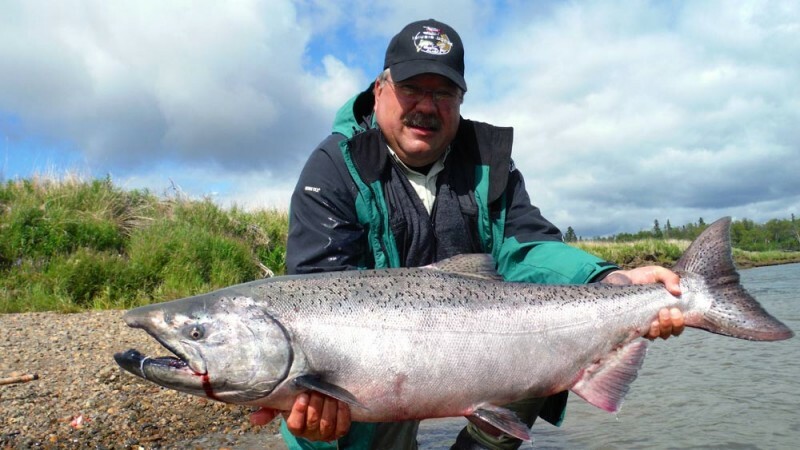 Our Alaska fishing lodge is strategically located at the headwaters of Alaska’s World Famous Kvichak River, which has the largest run of sockeye salmon in the world. Each year 2-3 million sockeye salmon swim right in front of our lodge. Situated on the shores of Lake Iliamna, at the headwaters of the Kvichak River, our Alaska fishing lodge at Igiugig pairs provincial luxury with rustic aesthetics creating a welcoming and comfortable environment. With a one-to-one staff ratio, you’ll enjoy a level of premiere service guaranteed to meet your expectations. 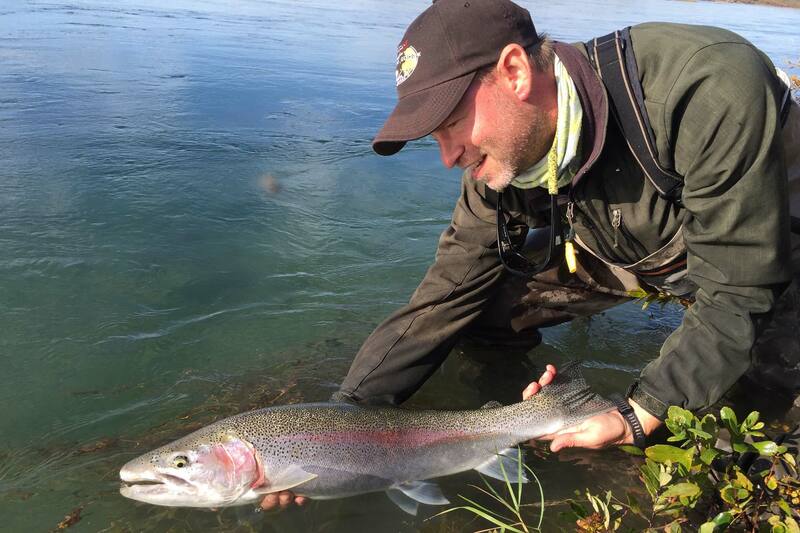 Brad’s Igiugig Lodge location provides the advantage of fantastic fishing on our home river, the Kvichak, which offers some of the largest Rainbow Trout in all of Alaska, with fish in the 30-inch class caught every season. The Kvichak River is also home to the largest run of Sockeye Salmon in the world averaging 2.5 million sockeye each year and great runs of Silver Salmon. Don’t forget our resident population of Arctic Grayling can be fished with dry flies all season. Our lodge is easily accessible from the village of Igiugig, Alaska. 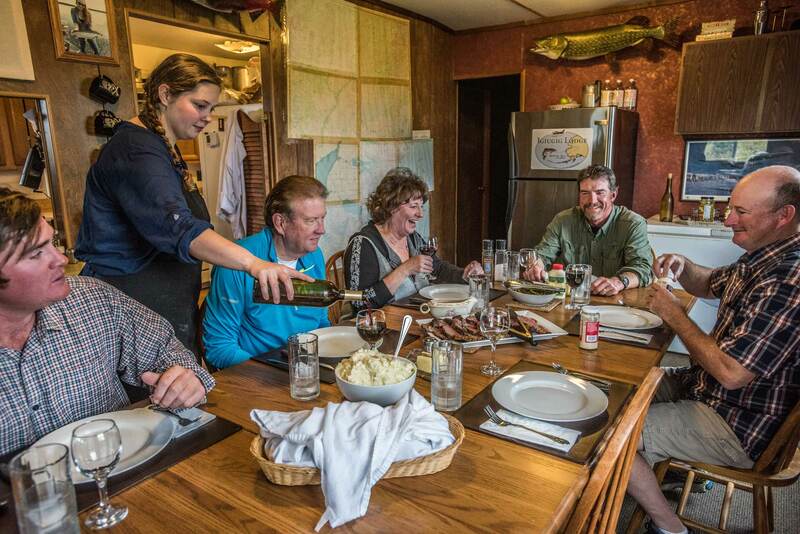 We are a small private Alaska fishing lodge accomodating groups of only 6 people at a time. Fishing trips run Saturday through Saturday each week throughout the summer. You can book exclusive use of the entire lodge just for your group or we will mix groups together. Your week long fishing adventure includes a combination of flyout fishing to various streams in the Bristol Bay area as well as a few days fishing the intricate braids of the Kvichak River. 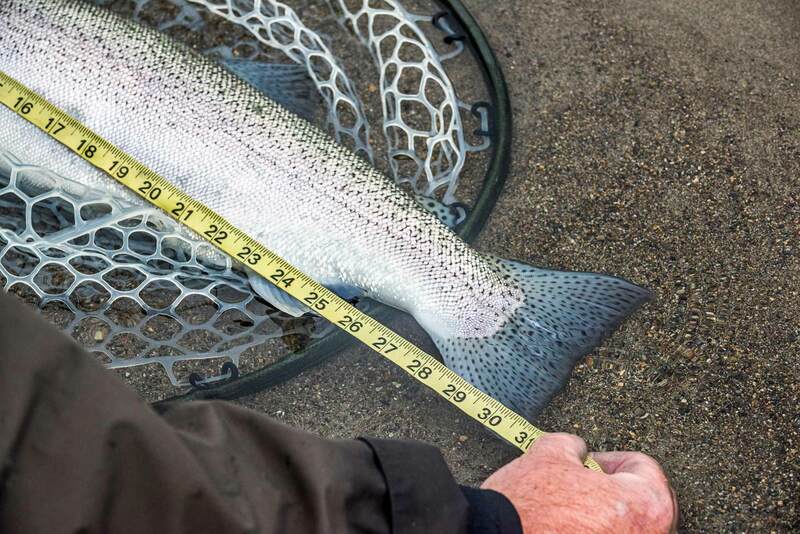 Our Alaska fishing package includes access to quality fishing equipment – so all you have to worry about is casting your line and reeling in your next trophy! 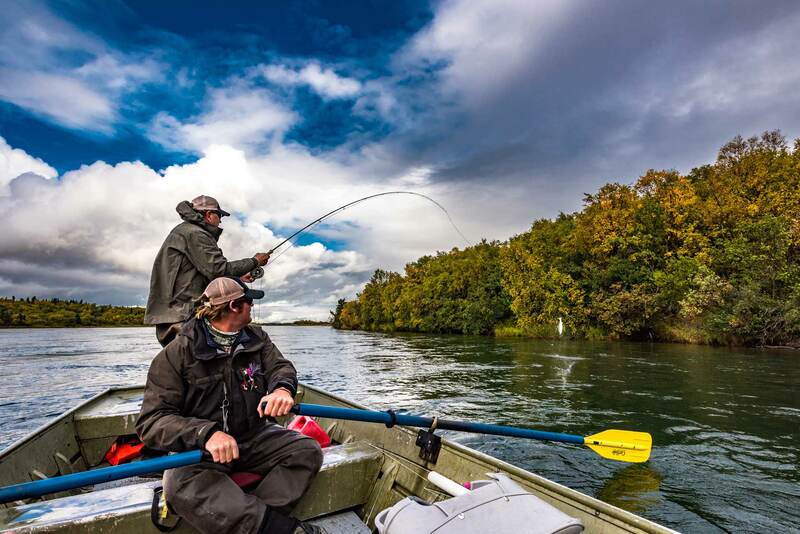 Accompanied by professional and knowledgeable guides, you’ll be taken to where the best fishing can be found along rivers, streams, and lakes located throughout the Bristol Bay watershed. 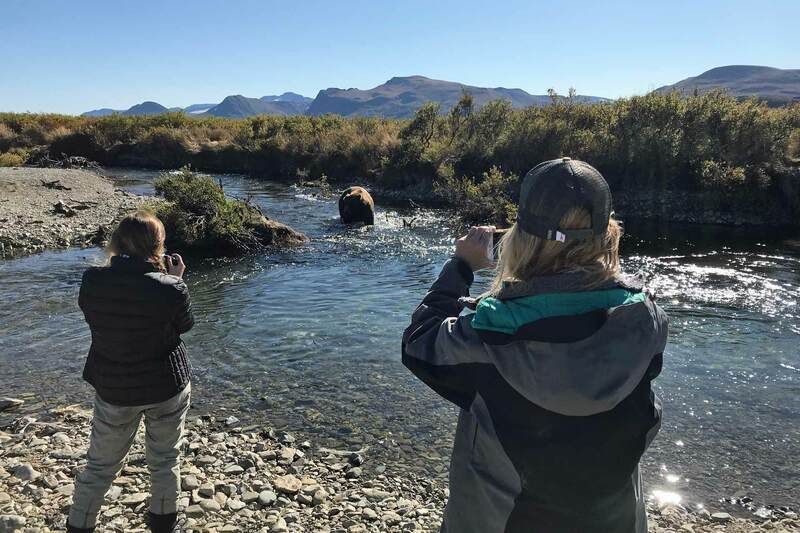 If you’re an avid fly fisherman looking to hook one of our famous Alaskan Trout, or searching for one of our five species of Alaskan Salmon, Rainbow Trout, Arctic Grayling, Arctic Char and Northern Pike, or an adventurer looking for the ultimate remote Alaskan Wilderness Vacation for the family – allow Igiugig Lodge to host your experience! Join us for a Trophy rainbow trout fishing and salmon fishing adventure of a lifetime. 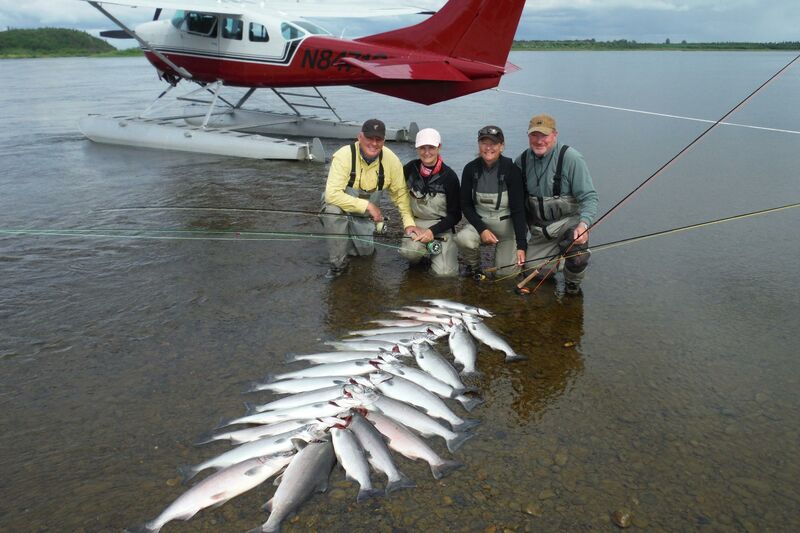 All inclusive fishing & lodging packages include 2 guided fly out fishing trips on Bristol Bay streams. 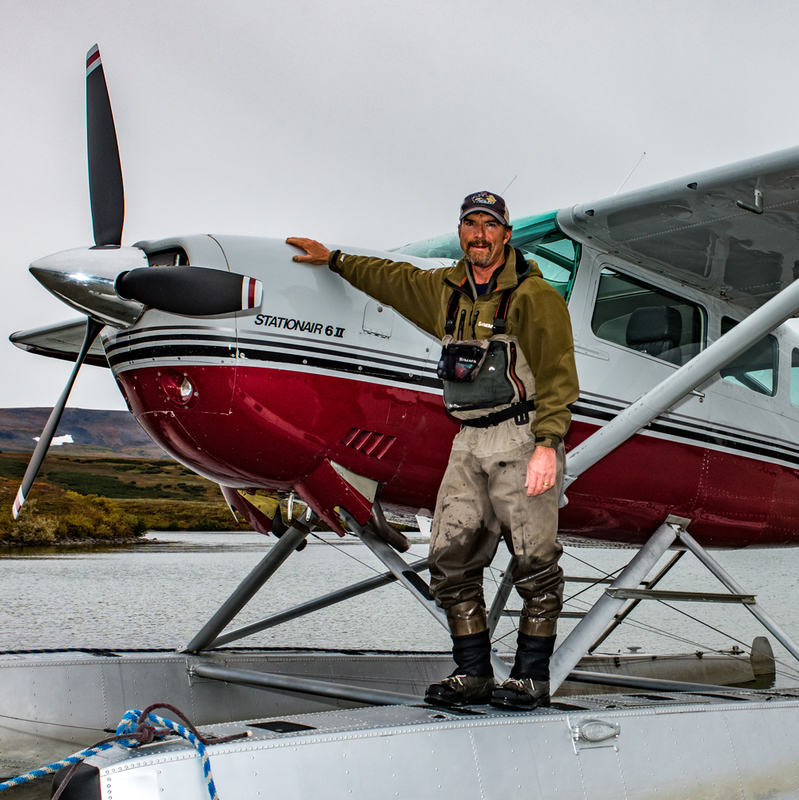 Brad Waitman is a first class pilot, fishing guide, and outdoorsman. He has guided fishermen on the waters of Bristol Bay for over 35 years. He personally guides and pilots his guests each week at his lodge. 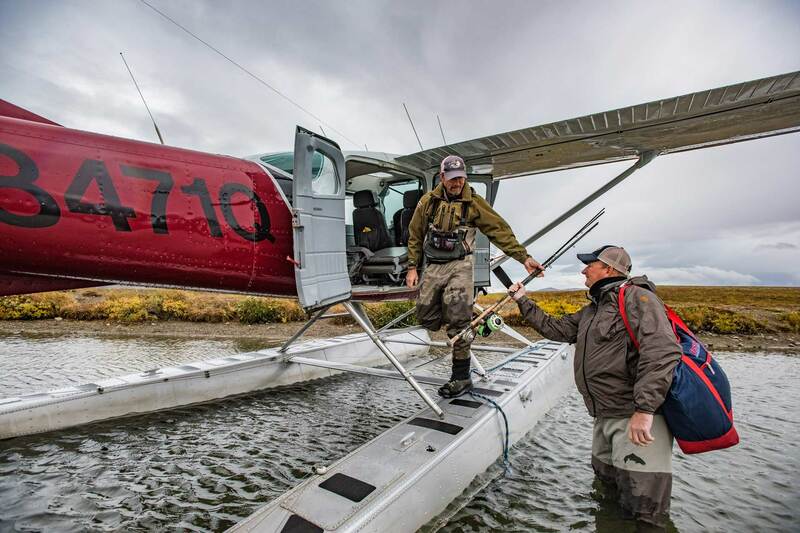 You won’t find a more experienced guide and pilot anywhere. “Going on my fourth trip to Igiugig lodge. Brad and his team are awesome…. can’t wait for September to get here so I can get there.